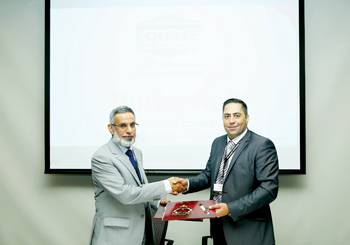 Technology giant Honeywell said it has signed an MoU with Equate Petrochemical Company, a global producer of petrochemicals, to help further develop innovative technologies to support operations at Equate’s industrial complexes. 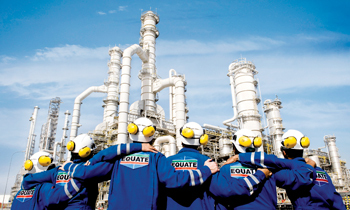 Equate is currently the owner and single-operator of several fully integrated world-class petrochemical complexes in Kuwait, North America and Europe. It is Kuwait’s first international petrochemical joint venture and the world’s second-largest producer of ethylene glycol (EG). “As a global software-industrial company, Honeywell has supplied the petrochemical industry with leading technologies and services for decades,” remarked George Bou Mitri, the president of Honeywell Kuwait, Iraq, Jordan and Lebanon. “After half a century in Kuwait, Honeywell’s commitment to deliver solutions that enhance the productivity of our customers is as strong as ever. We are proud to work with Equate to build local petrochemical capability that supports the New Kuwait 2035 strategy to become a global hub for the oil, gas and petrochemicals industry,” noted Mitri. As part of the MoU, Equate will test newly released Honeywell technologies, including the latest additions to the Honeywell Connected Plant portfolio, as well as assess Equate’s requirements and new ideas at Honeywell facilities. The companies will join efforts to analyze Equate’s needs and create added value through increased productivity and reduced downtime, setting a new standard for the petrochemical industry in the region. “Being part of the global petrochemical industry with operations in three continents and contributing to various economies, Equate is strongly committed to absolute reliability and sustainability in all operations and activities. Our relationship with Honeywell is based on innovation and trust, which are key factors to ensure overall progress,” stated Al Kandari. Honeywell said it has had a major presence in Kuwait for more than 53 years and is the leading automation provider in the country that has about 9 per cent of the world’s oil reserves and is among the world’s top ten oil exporters.